This post will describe my first steps with Emacs Lisp and how to use it to communicate with an external process. use the inotifywait tools on Linux to monitor filesystem changes1. call a function to react to them. As for all things Emacs, the Emacs documentation is incredibly detailed and very, very good and all informations in this post can be found (with a lot more information) in the documentation. This post is simply a little write up of the most basic steps to get started. How to start a external program from Emacs. How to react to output generated from the started process. When deciding to start an external program there are two possibilities: either start a synchronous process or an asynchronous one. It is important that the command-line arguments are passed as variadic arguments, so if you want to apply this command to a list of arguments you already have stored in a list you can simply use the apply-function 2. That is all there is to starting an asynchronous process in Emacs. Reacting to output generated by the process is done using classic callbacks. - the process that created the output. - the message containing the currently produced output." Now all output generated by the inotifywait-command will be send to the callback and can be processed in whatever fashion required. I wrote a little callback that will run all nosetests for a Python-project for example, as soon as a file under the source-directory changes. You can find the source-code on Github. If you are using Emacs ≥ 24.4 then cross-platform inotify-functionality is included in Emacs. As both Debian and OpenSUSE both still provide Emacs 24.3 however, I worked around this with this small script. If you know Python then you can think of apply as being the same as calling a function with func(*a_list). When creating new environments often to try out a few things it becomes quite cumbersome to always install the packages by hand. So instead I was looking for a quick and easy solution to the problem and found it via virtualenvwrapper. As virtualenvwrapper is just a wrapper around virtualenv it is required to have virtualenv installed first1. After that you can just use pip to install virtualenvwrapper. Now everything is ready to define the required hooks for automatically installing the default packages: by default the hooks are defined in the WORKON_HOME directory. The hook we want to modify is the postmkvirtualenv-hook that is called after the successful creation of the environment. This command will not install pip inside the new environment however. This post is will describe how to get a nice syntax-highlighted PDF file by using Emacs' org-mode with LaTeX and Python. I like to keep my notes in org-mode files as those are plain-text and thus can be edited using Emacs (or any other good text editor) while remaining easy to search. However, sometimes these notes tend to become big enough to warrant the production of a small document. One of the easiest ways to produce a pretty output remains LaTeX. And it is equally easy to make the source code exports look really nice! To test the process you can simply evaluate these commands in the *scratch*-buffer. Installing new packages in modern LaTeX distributions like texlive or miktex is really simple and explained: here (texlive) and here (miktex). I recommend using a virtualenv if you do not want to pollute your global Python installation. 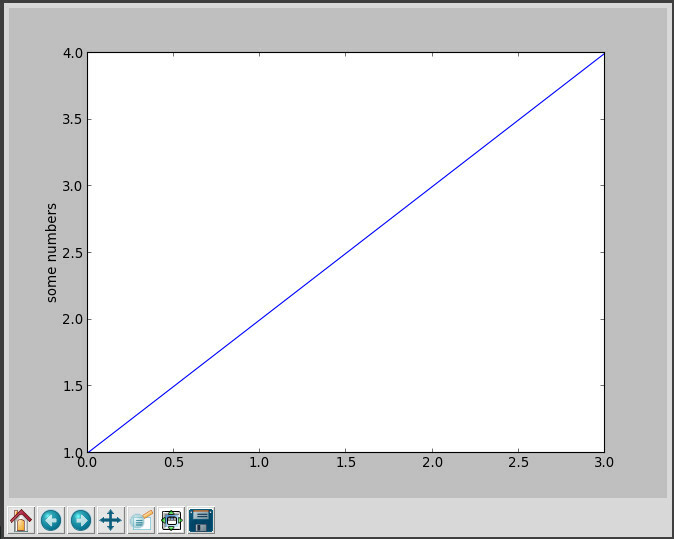 This is a follow-up post for installing matplotlib for Python 3, now that matplotlib 1.2 has been released and officially supports Python 3: it will describe how to install all tools necessary to setup a virtualenvironment, and how to create one that will host the installation of matplotlib and numpy. Installation instructions for the current version can be found at the Python Package Index. This will finish installing distribute which will allow us to install pip. # for python2 as well! Now you have pip installed and can proceed to install virtualenv and virtualenvwrapper (a number of scripts that make using virtual environments a lot easier). The virtual environment will normally be automatically activated (you can normally see this when the shell prompt is prepended with (<name_of_environment>)<rest_of_your_prompt>:). Now before installing matplotlib we need to install a few more dependencies: to install numpy we need Python header files and to compile numpy we need a c-compiler. To be able to display plots using the TkAgg back-end we will also need the Tk-libraries, as well as the tk-headers and libpng headers. numpy for fast mathematical computations. 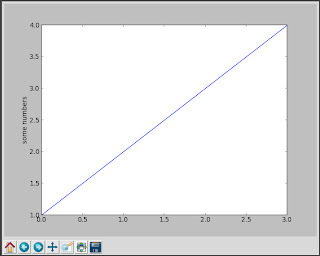 tk for displaying the generated plots. Assuming you have already installed pip and are running Ubuntu or Linux Mint. When using vim to compile code it is possible to let it parse the messages from the built tool and create a error-list that can be used to jump to the correct files (and most often the correct line). This can be used in vim to create an error-list as well, that can be used to jump between these matches incredibly fast - the only things that need configuration are the grep-command, the makeprg-command and the errorformat 1. Will make grep print the file the match was found in. Will print the line-number of the match. Instead of compiling a program, the makeprg command should simply echo back the current buffer that should be used to create the error-list - this can easily be achieved by simply using the echo command. Therefore the following command must be used in vim. When running the command make in vim now it will simply echo the currently active buffer and try to match the pre-defined errorformats against it 2. Will identify the token that represents the file-name. Will identify the token that represents the line-number. Will identify the token that represents the error-message 3. Due to the += the new errorformat will simply be appended to the already defined ones and not overwrite former lists. Unable to copy file '...bin\Debug\[ProjectName].config'. Access to the path '...bin\Debug\[ProjectName].config' is denied." This behaviour seems to be a not so rare bug in Visual Studio, as can be seen from this Stackoverflow post. Having tried many of the suggested solutions and still getting the error occasionally, I decided wasting my time by manually finding out what process is using the directory and killing it via the Sysinternal Process Explorer was too much of a hassle. So I wrote a small one-liner that uses the handle.exe program from the Sysinternal Suite to automatically find and kill all handles on the project-dir. To run this "script" you need the Linux utilities awk and sed on your path. (which you can either get via Cygwin or from GnuWin32). Moreover it writes the commands to really close the handles to a Powershell-script that will be executed to close the handles. Warning: This script requires administrative privileges to run (otherwise handle.exe will not work), and forcefully closing handles can cause system instability. If you are unsure about closing the handles just delete the | .\kill_handles.ps1-part in the first listing - this will store all commands that will really close the handles in a file called .\kill_handles.ps1 but will not immediately run that file. Because of some peculiarities of awk on Windows three files are needed, as directly using the awk-parts did not work on Windows. This code is the main script that just runs all commands in order - it should be safest to replace [path_to_project_dir] with the full path - otherwise handle.exe might pick up directories whose handles you do not want to close. The same goes is true for the [project_name] - this command is used to just extract the lines needed from the handle output - using the folder name of the solution should normally suffice - to check if the output looks good just delete everything behind that command and analyze the output to make sure. This snippet should be put into an awk-file called extract_pid_hex.awk - it extracts the process- and handle-ids from the handle.exe output. The following snippet is an awk-file that writes the commands to close handles. This file should be named write_handle_commands.awk. After running these commands I at least could always delete the bin directory of the project and rebuild it again without any errors. If anyone knows a way of doing this only using powershell I would be glad to know how - it might be a good way to finally getting to know it.